Paul Wilson is one amazing character. 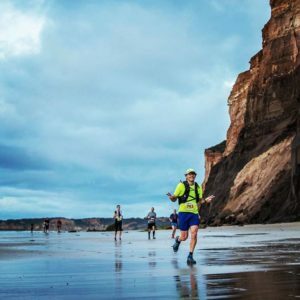 His accomplishments in endurance sports reads a longer list than most will have in a life time. He always has time for others, especially those experiencing difficulties and stresses in and out of training. Those around him would be well aware of the positive health influence Paul has. 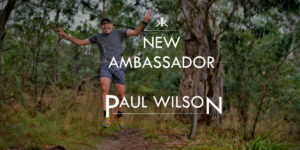 Have a read below to meet our latest addition to our ambassador team and we look forward to being involved with Paul and helping him spread #thenokkoneffect. Nokkon: What is your lifestyle like? Paul: I’d describe my lifestyle as a ‘relaxed family man.’ I try to get a reasonable balance between work and home. Our weekends aren’t super scheduled, we just take things as they come! Which is me really – I just take things as they come! Nokkon: What got you interested in health/wellbeing? 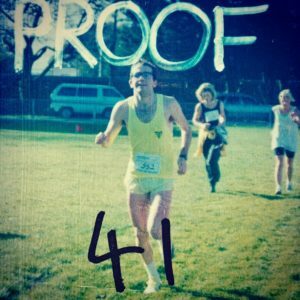 Paul: After I’d been out of school for a year I decided I wanted to get active and do a triathlon. Which was funny as I couldn’t swim, hadn’t ridden a bike for ten years and had never run. But there I was and off I went. And I haven’t stopped since! Nokkon: What benefits have you found in your active lifestyle? Paul: Apart from still being able to fit into my Year 12 jumper 😂 the thing I treasure most are the people I’ve met and the places I’ve been. I would never have led the life I had if not for the positive influence of sport and the people I’ve met through it. Nokkon: Who are your inspirations? Paul: I draw inspiration from a wide number of people. I’m inspired by new runners chasing huge, audacious goals; by people overcoming great difficulties of injury or circumstance; busy parents who make fitness a priority; and in general those who are pushing and striving to be the best versions of themselves! That stuff inspires me!! Nokkon: What are your health goals? Paul: My goal has, for a very long time, been to live till I’m 100 and be active at that age! Nokkon: How do you ensure you balance your training to include positively influencing others? 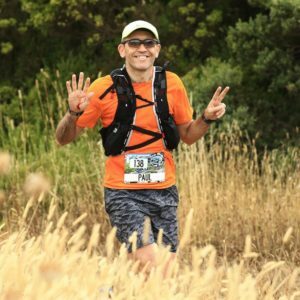 Paul: There are sessions I do that need to be about me, but I would never pass up the chance to run with others and, especially, meet “touring” runners from interstate and show them around town! Be yourself, be passionate about what you do, and you’ll find that’s probably a pretty positive influence on people. Nokkon: Do you have a memorable health highlight for yourself? 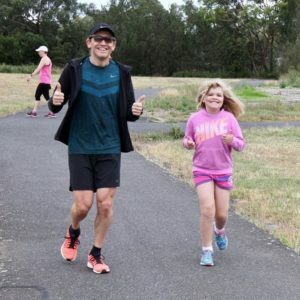 Paul: My health/fitness highlight is that despite the injuries and setbacks that we all have, I have been able to stay motivated and active continuously for these last 30 years. I’m pretty happy that this has been the case! Nokkon: Do you have a memorable health highlights for someone else you have been involved with? 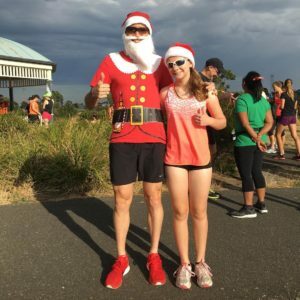 Paul: I’ve been lucky enough through my previous run club leading days to see so many people use running as a way to manage the stress and mental issues in their lives. This is game changing stuff for them, life changing, not just about fitness or getting faster. I feel pretty privileged to have played some role in this for them. Always focus on what you can do, not what you can’t! Nokkon: Thank you for joining our incredible team of ambassadors Paul. We can’t wait to see what the future holds for us and the further positive health influence you will have on others. 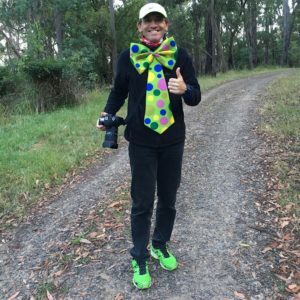 Really cool – you’re lucky to have Paul as an ambassador! thanks for taking the time to comment Julie. We totally agree. He is an amazing human with a very special gift for helping and encouraging others. We will do our best to help nurture and grow that gift.